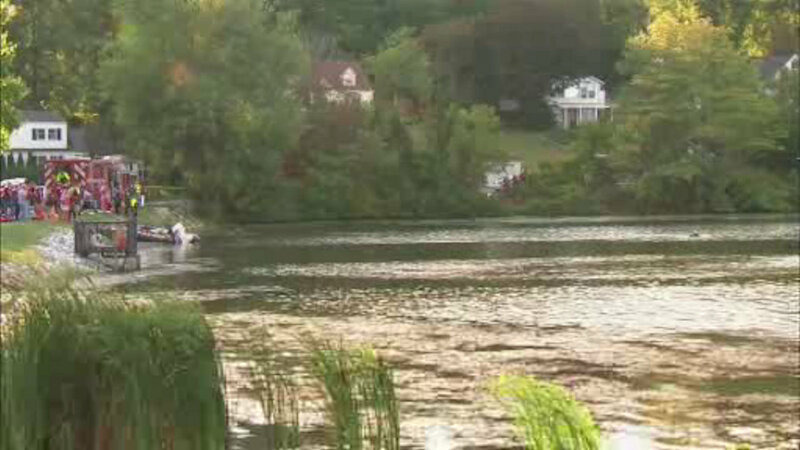 YORKTOWN HEIGHTS, New York (WABC) -- Yorktown Heights Police will resume their search for a missing man on Tuesday after he vanished in a Westchester County lake on Labor Day. Divers and emergency responders suspended the search for the night on Monday after a man was heard yelling for help from an inflatable raft in Sparkle Lake in Yorktown Heights. The search began at around 2 p.m. after police received calls from several people at the lake. Two men jumped in the water to try and rescue the man, but they were unable to reach him.